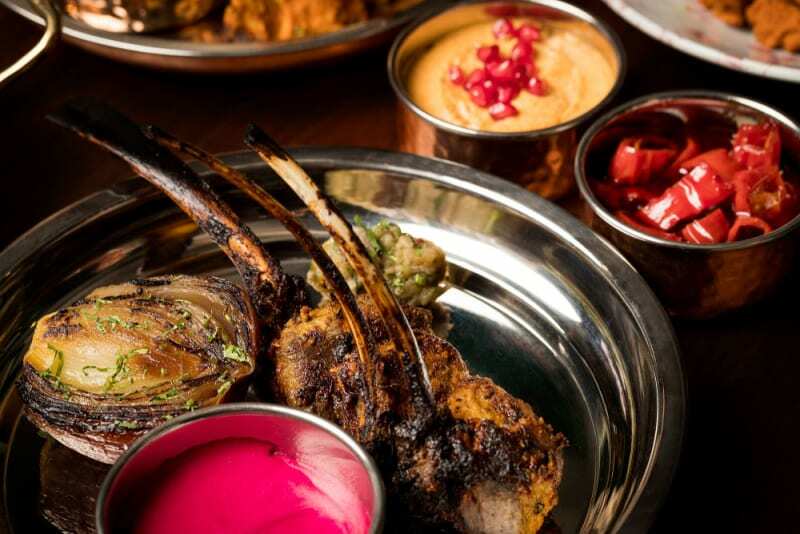 Sweetly theatrical eatery New Punjab Club is designed in the theme of post-colonial, liberated Punjab and pays homage to the birthplace of the long-standing crew of dedicated staff amongst the Black Sheep Restaurants group, who hail predominantly from India and Pakistan. The restaurant is an obvious source of pride for the staff, who knowledgeably narrate the dishes as they are served. The food ranges from popular street-food snacks to traditional recipes from the owner’s father’s restaurant, cooked in the original tandoori ovens brought over from Lahore. Dining at Gough’s is not just a feast for the taste buds, but an experience for all the senses. Created by famed British designer Timothy Oulton, and situated next door to his interior-design shop, Gough’s dazzles with its moonstone bar before enticing guests up the golden spiral staircase to the eccentric black-and-white-marble dining room. 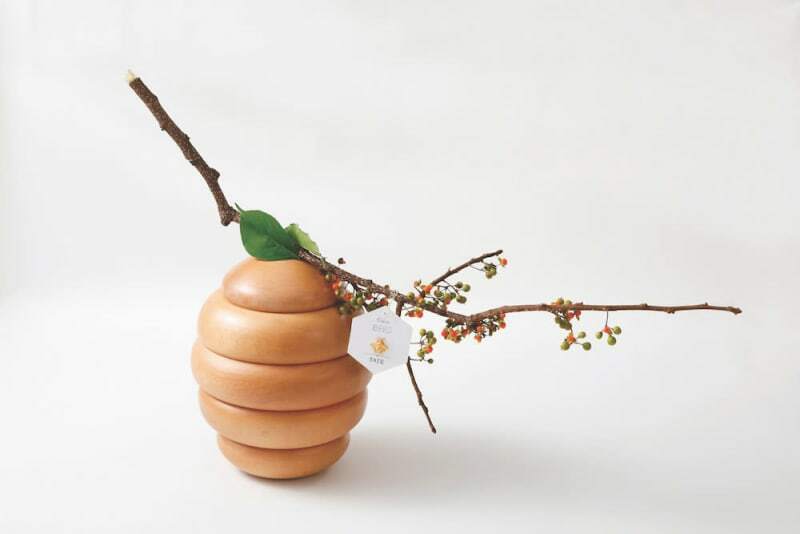 We haven’t had a chance for a return visit to check out new chef Cary Docherty’s style since Chef Arron Rhodes departed to showcase his skills over at impressive new restaurant Statement at Tai Kwun. The bar that impressed you readers most is one where the service is as razor sharp as the machete-like tool used for harvesting agave for which COA is named. It’s simple, moody and chic, with a trendy, industrial design and Oaxaca-inspired cocktails. 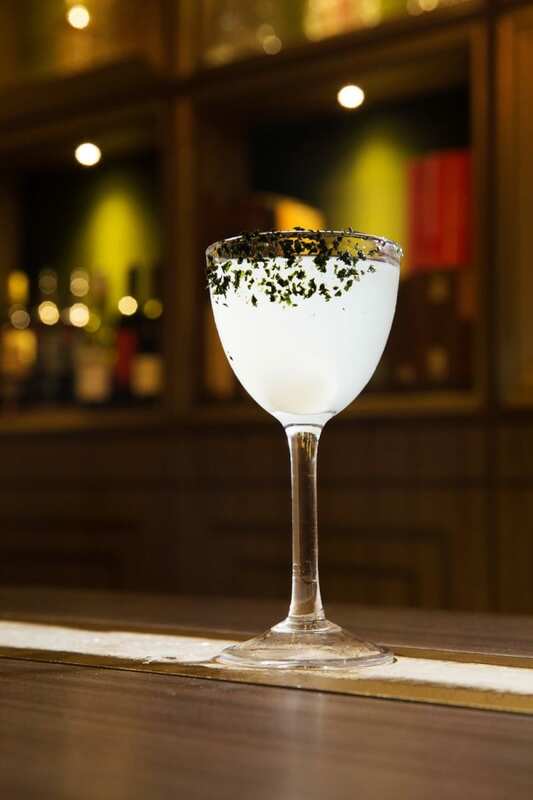 A special section allows the curious to develop a greater appreciation for meticulously crafted cocktails using agave spirits like tequila, along with lesser-known ones like mezcal and raicilla. Named for Hemingway’s short novel that turned him into a literary giant, The Old Man is also the ideal place to get your creative juices flowing while sipping on reasonably priced (in this city), well-made and edgy cocktails. The peeps behind this award-winning bar are extending the Hemingway theme and launching The Sea this month, opening on Po Yan Street in Sheung Wan. Traditional Chinese dishes are given a fresh glaze with international ingredients and new techniques at Mott 32. This opulent restaurant originated here in Hong Kong and has now opened in several other top cities, from Vancouver, to Bangkok, to Las Vegas. Now, Maximal Concepts have launched sustainability-focused sister restaurant John Anthony in Causeway Bay, with a house-infused gin-and-tonic bar continuing their pattern of upping the ante with each new popular establishment opened. This was a back-to-back Foodie Forks achievement for Chef Vicky Lau, who won the Editors’ Choice Chef of the Year award in 2017. We remain steadfast fans of Tate, so elegantly demure with its taupe, muted pink and brushed gold colour palette, and the exquisite seasonal tasting menus that Chef Lau puts out, with each dish having its own story to tell. We first fell in love with Chef Uwe Opocensky’s cooking at Mandarin Grill + Bar at Hong Kong’s oldest luxury hotel, before he left in a bold move to enter the burger business with Beef & Liberty, winning us over yet again by crafting beautiful yet affordable burgers. He also renewed his love of haute cuisine and opened Uwe, his eponymous fine-dining restaurant. And he became one of only two chefs in Hong Kong to first launch the Impossible Burger onto the menu and has since debuted a green concept, Leaves & Liberty. For foodies in the know, David Lai is one of Hong Kong’s brightest culinary stars. With a string of high-profile openings and closures to his name, our favourite of Chef Lai’s lot is Neighborhood, which earned a coveted spot (#32) on Asia’s 50 Best Restaurants list last year. We look forward to more great things from Chef Lai as he helps to write the culinary story of Hong Kong. We wholeheartedly agreed with your choice for your reliable go-to, where you head time and again for an effortless dining experience. 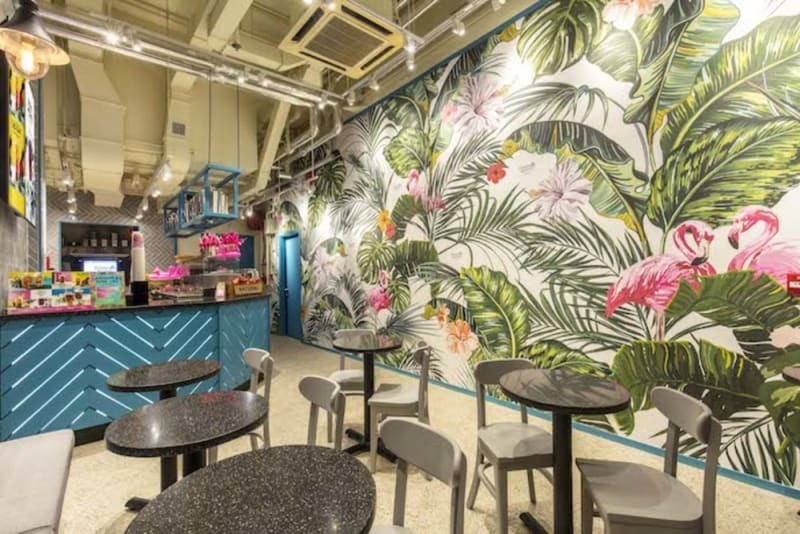 The brainchild of the folks at Pirata Group, homemade pasta specialist Pici became a hit soon after its opening on a cosy backstreet in Wanchai, again with a second, bigger shop in Central and now branching out far and wide to TST and Sha Tin. No matter which spot you head to, you can’t get enough of Pici’s freshly made pasta and chilled vibe. No bookings. Now, we know this was on the pricier side for this category, but we wanted to pay homage to a restaurant that has remained consistently excellent in our minds. 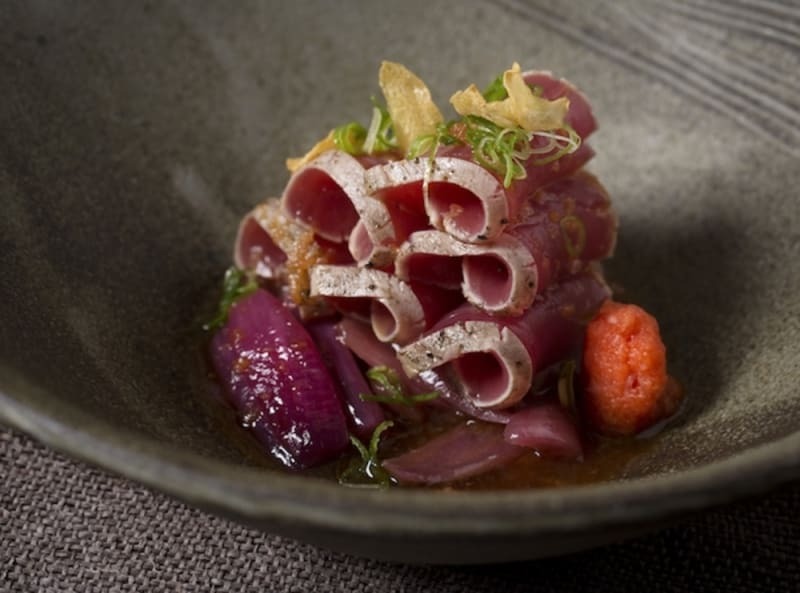 Zuma is an easy choice for a wowing brunch when family come to stay, is elegant yet incredibly welcoming and always delivers on the food front with exceptional Japanese cuisine. They also launched a fun “night brunch” that highlights their constant innovations in the mixology sphere. Though their coffee is on the pricey side, that doesn’t stop folk flocking to the three branches of Cupping Room for some quality java brewed up from beans courtesy of their local roastery in Sheung Wan. Opened in 2011, before the coffee craze was in full swing in Hong Kong, Cupping Room also offers a tempting food menu, with the breakfast dishes especially favoured by readers. Though it’s tucked away in an obscure street in chaotic Wanchai, it’s easy to spot Bakehouse. Just look for the queue! 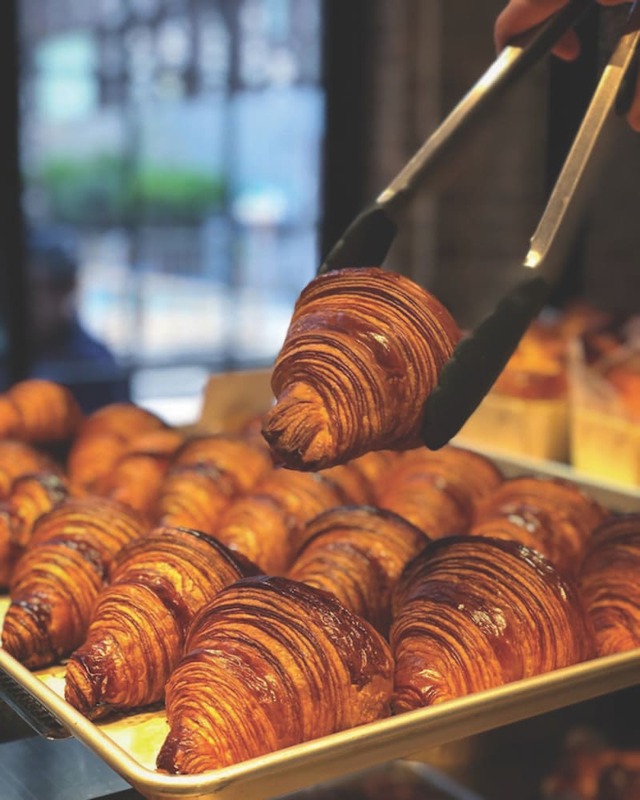 Opened by renowned pastry chef Grégoire Michaud, the bakery-cafe offers a bevy of scrumptious goodies ranging from delectable pastries, to naturally leavened sourdough bread, to freshly made sandwiches and steaming cups of coffee. There’s a sit-down café section, as well as a takeaway counter for the various baked goods. We drool just thinking about the buttery, flaky croissants and the addictive double-chocolate cookies. Make sure to line up early before they’re all sold out, as the bakery only makes a limited quantity of each item every day. Recently celebrating its seventh birthday, beloved pioneering zero-waste café MANA! proves with its constant queues around the block come lunch hour that sustainability and profitability can go hand in hand. Our readers love this place, and it’s a very easy place to love for being an industry leader in terms of eco-friendliness. MANA! has a comprehensive waste-separation and recycling system integrated into its daily operations where all paper, plastic, glass and food scraps/leftovers/waste are separated, hand-rinsed, collected and recycled right here in Hong Kong. Customers also participate in this effort and in the ethos of “diet change, not climate change” as a whole by separating their own post-eating waste into the bins provided. This forward-thinking initiative and community involvement is what people love about MANA! and completely thwarts the argument that the government is entirely to blame for the lack of recycling facilities here – if the process does not exist, create it and spread the responsibility to all. This primarily vegan establishment generates 1,500kg of food scraps and customer leftovers every month that are laboriously delivered to their organic farm partners five times every week. If that’s not inspirational evidence of what can be done, we don’t know what is. Using their walk-in café and event space to bring African teas, coffees and cuisine to Hong Kong with an ethos driven by equality, sustainability and supporting women working within the production process, ACT’s mission is to produce premium single-origin products in an ethical and community-edifying manner. They visit the farms that produce their products to establish face-to-face relationships. They then support these farms by providing expert trainers to improve crop yields, maximise the natural systems’ efficiency and resist foreign “big agriculture”, as well as run leadership-development programmes for young women in Africa. This spirit shines through in everything from the framed images of the farms they work with down to the friendly staff. You’ll find dishes such as Ethiopian beef stew (doro) with injera, South African chicken drumettes and stir-fried tofu with Ethiopian Berber spice that you can have to dine in or take away (in recyclable packaging, of course). It’s safe to say by the number of votes that flooded in for this wine bar that you lot picked up what these guys have been putting down. The thing that sets FRANCIS apart – aside from the bold uppercasing – is the community-centric focus that the three stalwarts of the industry have devised. The team behind it include Israeli chef Asher Goldstein and well-known sommelier Simone Sammuri, both previously from SoHo’s beloved 121BC, along with the man-with-the-plan, long-standing restaurant manager James Ward. They wanted to bring carefully curated and affordable wines along with Middle Eastern cuisine to a friendly, inclusive environment that also happens to be fun and chic – the kind of place you can go a couple times a week, whether it be for a bite or a drink or a natter, and the kind of place where everybody knows your name and what you like to drink. These three gents have now opened a smokehouse named Mr Brown down the block, where various grilling techniques from Tel Aviv to Australia to the Mediterraneans blend together in one tasty menu. This Chinese tea salon made a big impact on us with its colourful, eye-catching decor and pink flamingo drink holders. Flamingo Bloom’s all-natural floral teas are mixed with fresh fruit, boba pearls, aloe vera and/or a salted milk cap – a decadent topping of milk and cheese whipped together – for the perfect customised cuppa. 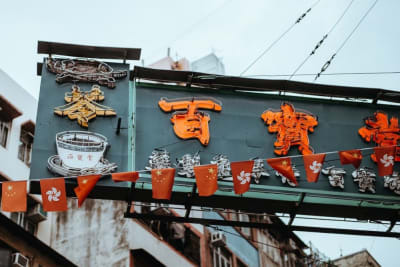 We love this secluded Wanchai spot as much as you do and were actually a bit reluctant to share our collective adoration with the masses for fear of not being able to snag a table in the future. This charming, independently owned eatery offers some of the best comfort food around (the pastas and meat dishes are standouts) at wallet-friendly prices, especially the set lunch menu. Three Blind Mice’s staff are also extremely warm and welcoming. What more could you ask for? Happening upon this little masterpiece is like uncovering your new favourite bookstore – it’s full of wonder and enchantment and a place you could spend hours. It doesn’t hurt that it’s set up much like a bookshop, with wall-to-wall shelves housing the widespread spirits; the rare ones contain library cards on which to stamp your name on any you’ve sampled. Intrigued? 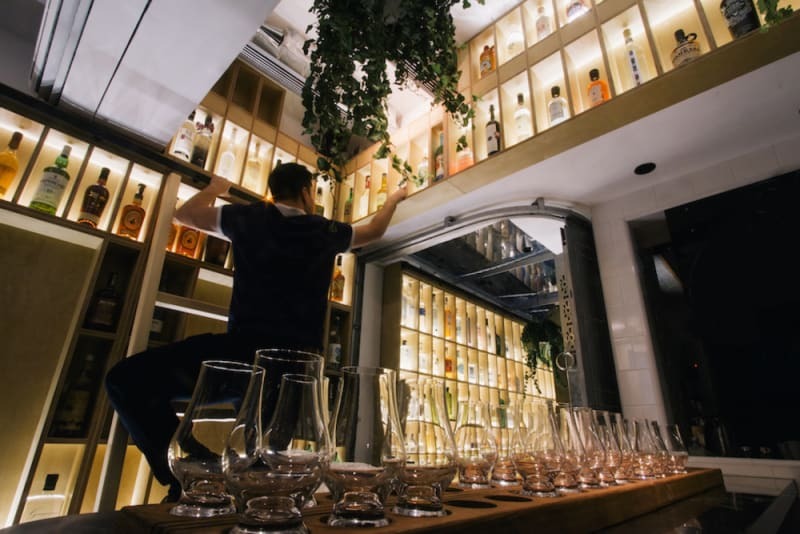 This spirit library is the brainchild of Victoria Chow of The Woods, who will walk you through a tasting experience on any and all liquors you want to discover, from gins and rums to tequilas and mezcals – and everything in between. Her evening tasting sessions allow discerning drinkers and exploratory imbibers to try a tempting taste of several across the board to expand their drinking palates and engage with her extensive knowledge of the spirit world (not the supernatural variety, but who knows what any particular evening may hold?). There is so much goodness packed into Peggy Chan, it’s not surprising that it’s exhibited in the city’s most reputable and groundbreaking vegetarian restaurant, Grassroots Pantry. She sees transforming the view of “raw vegan” as a challenge. Getting meat eaters to enjoy her cuisine – which she does, frequently – works simply because she elevates vegetables to marvellous heights using unprocessed, organic and sustainable ingredients. She doesn’t stop with her diners either – her Collective’s Table series is an inspirational collaboration where she dares Hong Kong’s meat-loving chefs to test their culinary skills without the use of eggs, dairy or meat. She’s inspiring other chefs to create more interesting plant-based dishes in their own restaurants and, in turn, enticing guests to order them. 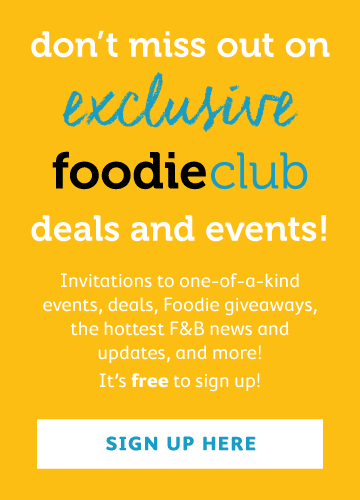 It’s truly disrupting the culinary norms we’ve known for decades – and it’s important. Once described by staff as a gentle dictator, Peggy isn’t afraid to challenge the status quo and change paradigms for how a standard chef-restaurateur may look, act and behave. She trains her staff to uphold the values she holds dear, but also provides them freedom and empowerment to create for themselves. Peggy Chan is a role model and a game changer within the world of F&B and is a founding member of Hong Kong’s Zero Waste Alliance. She has won plenty of our Foodie Forks awards in the past, and we are delighted that you appreciate her as much as we do. Doing things ethically since the moment they began, Homegrown Foods have always maintained an admirable ethos, alongside consistently amazing, down-to-earth cuisine via their Red Sauce Hospitality arm at Posto Pubblico, Fini’s and Franks. Committed to reducing the waste they generate within their restaurants, they are also paragons for the profitable aspect of doing so, explaining that cutting down on inefficiencies helps to make them more lucrative as well as more appetising to diners. They’ve created an eco-friendly cycle of on-site composting to create fertiliser for their herb gardens and use locally sourced ingredients whenever possible that are naturally bursting with flavour because they haven’t travelled great distances. As founder, Todd Darling maintains face-to-face relationships with farmers and is frequently off on food-exploration trips to uncover truly organic products in far-flung places like Afghanistan to source raisins, almonds and mulberry syrup or to Mongolia for sea buckthorn and yak jerky. A recent venture saw him travelling to Yunnan to hunt truffles and mushrooms and to Kashgar for their special apples. He is a true food adventurer who shares his spoils with his customers and promotes organic farming that is both better for us and the environment. Do you predict any of these becoming repeat winners in 2019? Vote here (it’s fast and easy) and tell us who and where have impressed your taste buds this past year. Best New Bar: Where’s the hottest new spot in town for a tipple? Chef of the Year: Who cooked you a meal that you still remember? Best Café: Which caff serves up the best cuppa in town? *Best Green Eats: Which eatery offers the best vegetarian menu options? Food Hero: Who inspired you in the world of food this year?